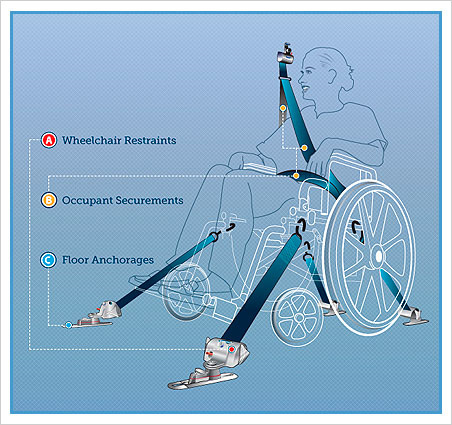 QStraint over the years have researched and improved their occupant wheelchair restraint systems. Going beyond all impact tests and safety regulations, Q’Straint’s certified engineers use the most modern equipment continually improving its systems. Complete operator instructions and warranty registration card. 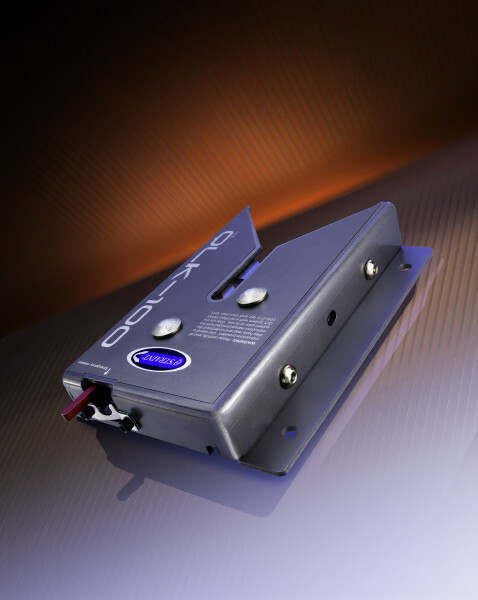 The QRT series of retractors are the easiest and fastest-securing 4-point systems available today. These systems allow drivers to secure a wheelchair in less than 15 seconds, while reducing the risk of driver injury and drastically reducing vehicle wait times for transportation operators. The M-Series is an economical manual securement system to help meet minimum specifications and cost conscious budgets without sacrificing safety. The latest innovation in retractor systems. The retractor that changed the industry. 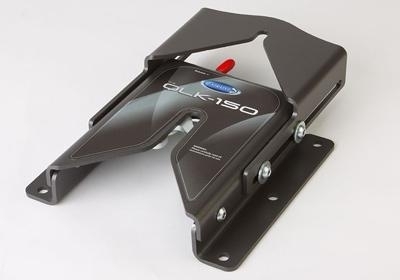 The QLK-110 wheelchair docking system is the perfect solution for wheelchair passengers who drive their own vehicles and for those who want the independence of quickly securing their own wheelchair using a single point system. 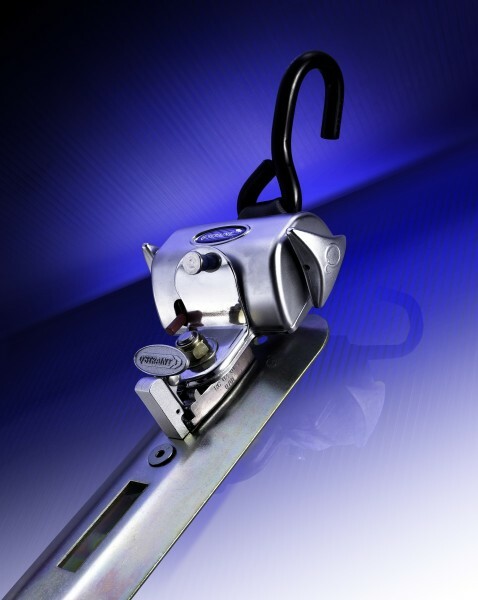 The QLK-110 is engineered for reliability and based on the proven design of truck and trailer hitches which have been safely used over a half a century. Since 1986, EZ Lock’s Wheelchair Docking System has been the standard of protection and self-reliance for thousands of clients across the globe. Our versatile and secure Docking System is as dependable as manual tie-down systems, yet much more simple and convenient. 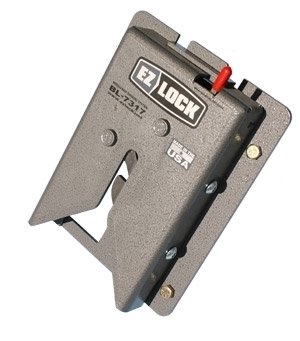 And EZ Lock’s superior design offers new levels of independence virtually never experienced before. For more than twenty years EZ LOCK has been hailed as the "gold standard" of wheelchair docking systems, and we've maintained that distinct through focus, quality materials, and attention to detail. 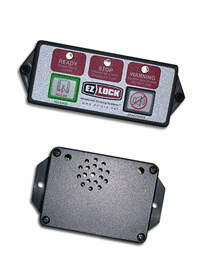 When you choose EZ LOCK you get the unparalleled benefit of our experience and expertise. 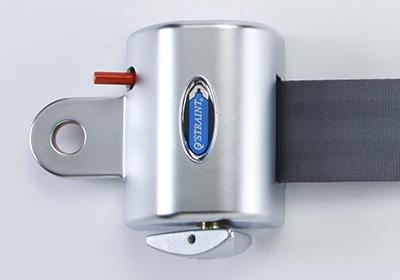 The introduction of the original EZ Lock BL-6290 Docking System more than 20 years ago, changed the way people think about wheelchair mobility and transportation. 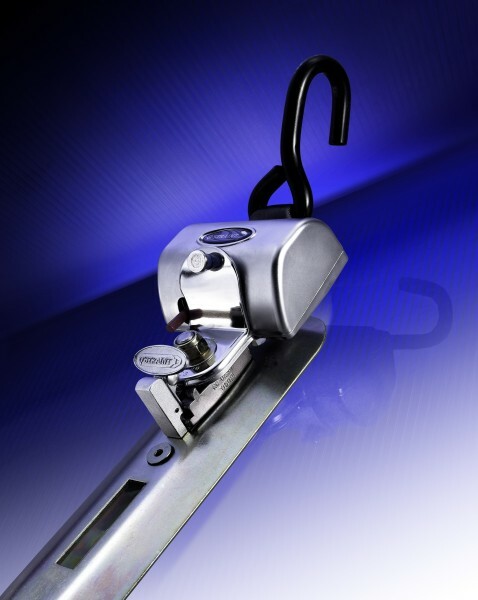 The BL-6290 docking system has proven to be a versatile, reliable, and safe alternative to fabric strap tie-downs.